Santa Ana, CA – June 5, 2012—Web Wise Kids, a national non-profit organization and recognized leader in internet safety education announces the launch of the Spanish version of "Wired with Wisdom." This is the first internet safety education program designed to increase Hispanic parent awareness of cyber safety issues Starting this month, the Orange County Department of Education will be piloting the program to all schools servicing students in grades 6, 7, and 8. The English version of "Wired with Wisdom" has been around for years and has undergone upgrading several times. The inspiration to develop a Spanish version of the program derived from the realization that language barriers have made it increasingly difficult for Spanish speaking parents to have access to internet safety programs. Statistics have shown that the Hispanic youth spend more time on mobile devices, including cell phones and tablets, than other students. The lack of educational programs for the parents leaves their children at a higher risk of engaging in negative online behavior. To confront this challenge, Web Wise Kids partnered with the Entertainment Software Association Foundation and created the Spanish version using all Latino actors and voice talent. Now Hispanic parents have a resource that can give them the necessary knowledge and skills to supervise the digital activities of their children. The Orange County district is the first school district to adopt this for their entire district and will be granting teachers and parents access to the "Wired with Wisdom" parent program, free of charge via cards with access codes, for both English and Spanish versions. The "Wired with Wisdom" program is divided into 5 components: social networking, online communications, cell phone dangers, emerging technology, and chat rooms & instant messaging safety. Each component is a 20 minute seminar that advises parents on the dangers of cyber-bullying, inappropriate online behavior, sexting, and more. "Parents need to acknowledge the accessibility that wireless and broadband advancements are placing on their children's mobile devices. This program being the first of its kind is designed to raise awareness about online safety and offer the necessary tools needed to properly advise children" says Judi Westberg Warren, President and CEO of Web Wise Kids. Web Wise Kids (WWK) 501(c)3 national non-profit organization, "Dedicated to promoting a culture of safety, respect and responsibility for youth and families in this digital world." WWK does this by creating and distributing interactive content through the same media in which kids and adults live their lives. WWK programs have reached over 10 million youth and thousands of parents. WWK does this by creating and distributing interactive content through the same media in which kids and adults live their lives. WWK programs have reached over 10 million youth and thousands of parents nationwide. For more information on Web Wise Kids or to make a donation, visit http://www.webwisekids.org/donate. 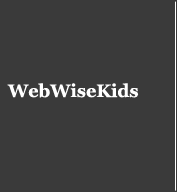 Follow Web Wise Kids on Twitter at @webwisekids, Facebook at http://www.facebook.com/webwisekids or YouTube at http://www.youtube.com/webwisekids.